Last Friday, 2/18/2011, marked the end of the primary wave [B] of Cycle wave c of Supercycle wave (a) of Grand Supercycle wave [IV]. 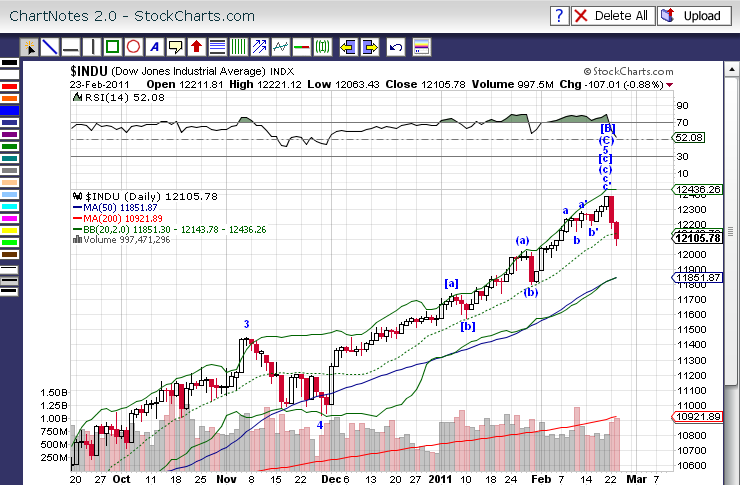 If my wave count is correct, it will be the multi-year high of the U.S. stock market. This entry was posted in Market and tagged Dow 30, Elliott Wave, Hui Zhong, Top. Bookmark the permalink.